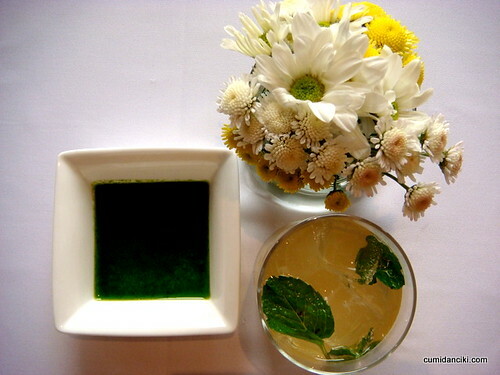 When Paranoid Android (PA) organizes lunch at Sage the Gardens, you know it is going to be worth your while attending this afternoon get together because 1. Sage is paranoid android’s second home, 2. service is 1st class and everybody there knows him by name and 3. he is so buddy-buddy with the Chef , Chef Daniel that PA can just ‘speak’ and it shall be done! So here we are at Sage.. with our own personalized lunch set menu.. something Chef Daniel put together , with a lot of nosing round from PA too of course. Look at the gorgeous plump salmon. Am I the only one who thinks it looks like a satsuma. Its plump, peachy little body was bursting with fresh juices (not unlike a satsuma) and lightly seared on the side of the skin to offer that crunchy texture that is mind-blowingly addictive. Apparently they smoke their own salmon at Sage. Impressive. 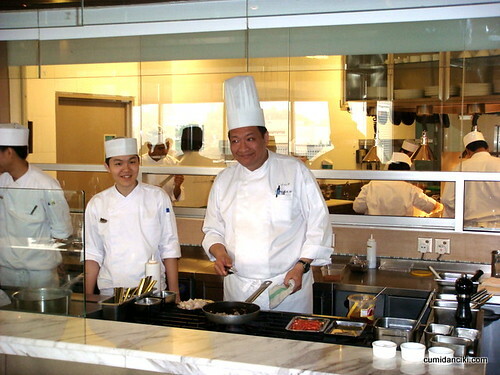 Chef Daniel – the friendly giant helming the kitchen. This guy really knows his stuff. Just don’t mess up in his kitchen or you will know about it! PA – the guy who organized the lunch as well as extra starters for us , because Sage to PA is like Cheers to Norm. 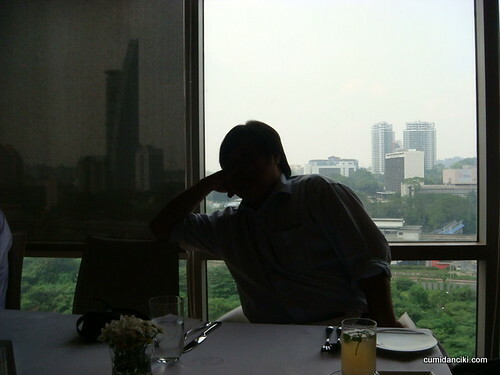 PA is a shy dude so we are only allowed to post his silhouette on blog. 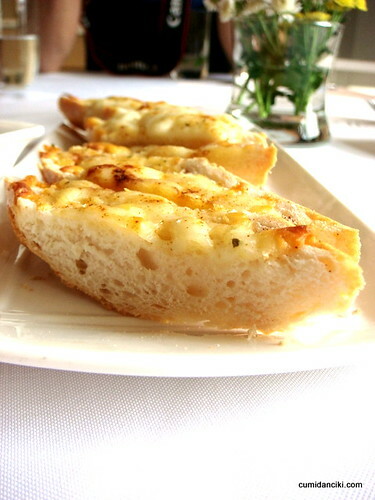 Cheese breads – hot from the oven. 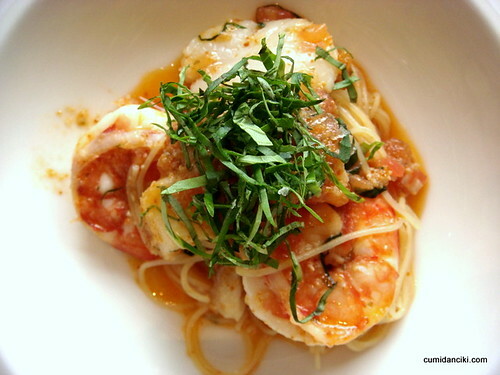 Capellini Pasta with trio of seafood and Togarashi. Long strands of pasta that are very similar to Angel hair pasta, only Capellini is slightly thicker. Often Capellini and Angel hair pasta are referred to as the same pasta. This sort of pasta has an amazing way of ‘catching’ and soaking up the sauces in your dish and goes fantastically well with light sauces. Read more about Capellini here on Wiki. Golly, I could have just stopped right here and been a happy camper. The fresh prawns and scallops were bouncy and firm. The freshness of the seafood is what smacks you in the face and makes you sit up and notice what a great creation this is. This Wagyu was slightly overcooked this time. Nice but not the best I have tried. I did like the sauce it came with though, which was savoury-sweet due to its sherry base. 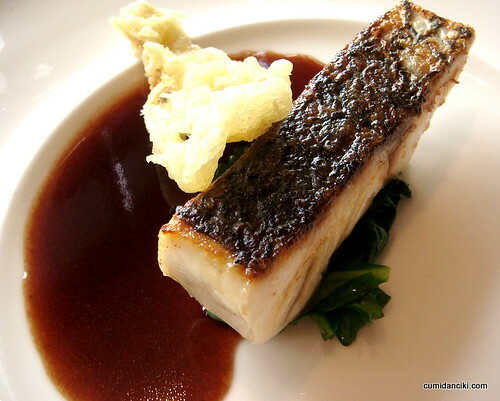 Mulloway Seabass with Enoki Mushroom, Wine sauce. Apparently the Mulloway can be found in the cold Australian waters and looks like a European Seabass. Mulloway is particularly suited to sashimi frying, roasting and stir-frying in cooked preparations. Today at Sage, the preparation of the fish was fantastic. The Enoki mushroom and the wine sauce complemented the light taste and flaky texture of the fish to perfection. 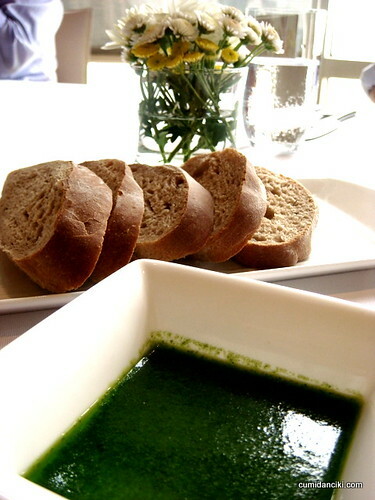 I liked this dish. 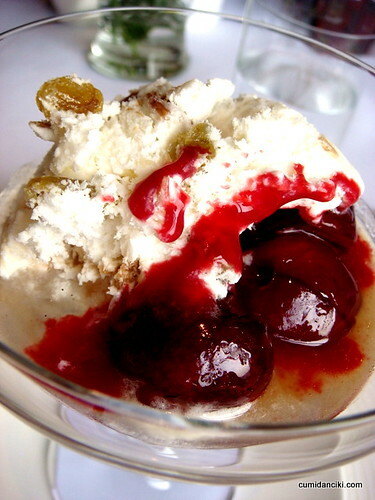 Somewhere between main course and dessert, PA magically summoned forth a big box of “Bing” Cherries. Oh my gosh, did you know that Mr. Bing was an actual person who walked the face of this earth? Ah-Bing to be precise. (He was Chinese!) 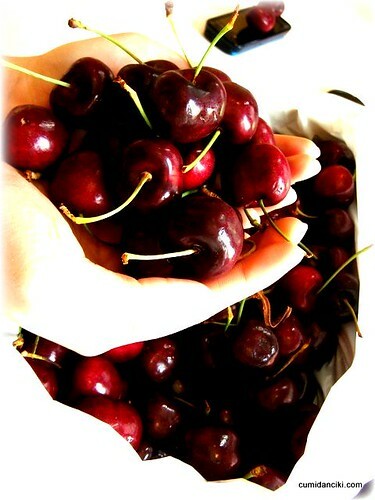 Bing cherries originated in Milwaukee, Oregon in the U.S. and were created as a crossbred graft from the Republican cherry in the 1875 by Oregon horticulturist Seth Lewelling and his Manchurian Chinese foreman Ah Bing, after whom the cherry is named! Some sources claim that Ah Bing cared for the trees from which the cherry was developed, while others claim that he had been responsible for cultivating the fruit. How cool is that? Way to go china man! Anyway, now a days, other countries produce Bing cherries too. According to Wiki, many people prefer to eat Bing straight out of the hand and as you can see from the photo above, this is totally true. The Bing cherries are a deep maroon, and normally darken as they ripen. The riper cherry will exhibit the sweetest taste, but even those that are still somewhat firm and bright red are usually sweet. These ones that PA bought were from New Zealand. 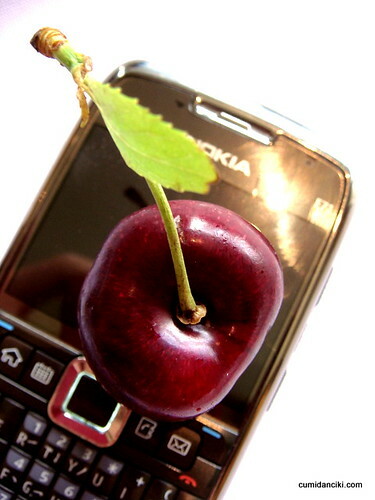 Below is a shot to give you some perspective on just how huge the cherry is. Dessert was rich, smooth and creamy.. with a superb flambéd-ness to it that was hard to top. Well, it could only be topped by Bing, I suppose! Monkeying around with our food.. Ciki, Delectable Su and A lil Fat Monkey (photo courtesy of FBB). Too bad LL, Boolicious and Min could not join us.. they were busy that day.. so we ate their share of Bing..! Girls, next time the PA invites, you better come.. he was heartbroken but FBB, Su, Munkey and Ciki were mainly full, from the cherries! 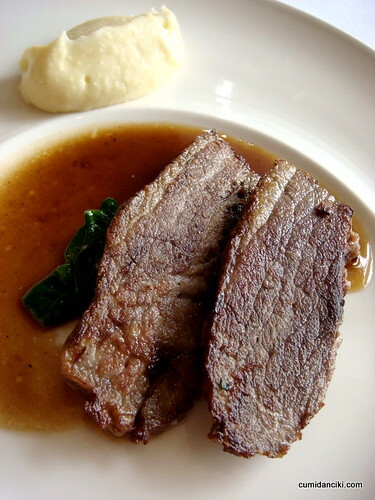 I want wagyu beef.. nom..nom.. Seriously, though, PA seems to know the right strings to pull lah. 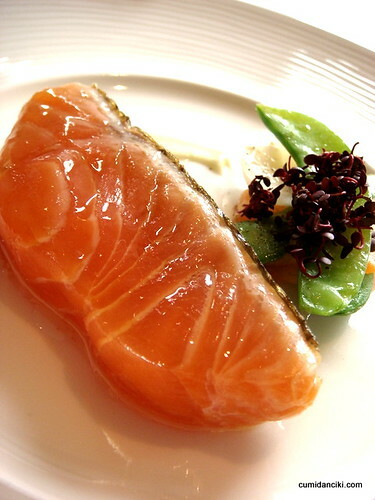 I’ve tried that smoked salmon at Sage before, and I remember thinking that I had gone to Nirvana. I like your story about Ah Bing, the chinaman. So farny. I repent, I repent! PA, please let this not be the last time I am extended this privilege, I beg you!! 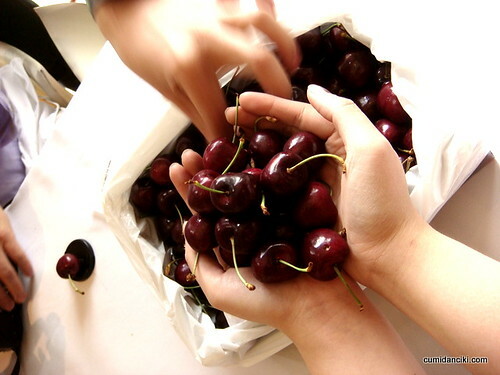 i love the way su was fondling PA’s cherries. she made them look even more luscious, if that is in any way possible. ah, dreamy look, what a feast. lets go again soon. PA, when ah? omg, i’d never have thought that the cherries were so pricey! sighh … i guess they wouldn’t sell it by the dozen, huh? looks like whose name to mention when i go sage haha. my sight is set on the salmon… like u said, plump and juicy! i have not been to Sage ( after one of my friend commented that the Wagyu beef was overpriced and overcooked) – i guess the restaurant should really take note. Ah Bing’s finally good for something. What a larveleee lunch that was.